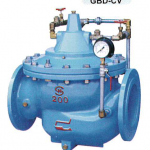 Control valves have a vital and ubiquitous use in many industries relevant to KSA. At SFS we have specialized in severe service so we are looking to applications such as well head chokes, steam PRVs, furnace flow control, compression suction and a host of other situations that are critical. SFS activities stretch across oil/gas, petrochemicals, power, water and mining. 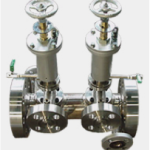 Additionally, the product line includes sleeve type control valves and metal seated ball type automatic control valves. With SFS’s recognized packaging unit we can provide packages with control valves to the client’s requirement. At our valve modification workshop we can use or application knowledge and modify valves with a range of trims to avoid, for example, cavitation and high noise . We can accommodate multi stage plugs, regulators, heaters and special angle designs. 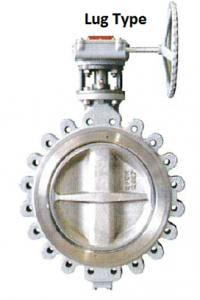 Ram & Multi-Ported Valve designs are used for Isolation and Control of Refinery Residuals, Polymers, and PTA so commonly used in the Oil/Gas and Petrochemical industries. A particular issue is the drainage of residuals in the process cycle or line and the RAM valves are the specific answer to the problem of periodic drainage of undesirable residues that have accumulated. 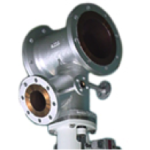 Multi port valves are used for test separators, sampling and polymer diverters for example for offshore and on shore applications in the hydrocarbons industry. SFS has OEM approved service support and packaging where required. 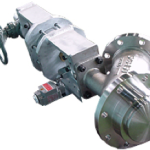 Electric Motor Actuators are a common part of any Motor Operated Valve (MOV) strategy for up to 60 inch quarter turn so that there can be remote, coordinated and accurate control of valves in refineries, pipelines, water treatment plant, boiler operations on power stations to name a few of the industries concerned. With so many processes needing accurate control or isolation there is an increasing trend to valve actuation. SFS have an OEM approved electric actuator workshop in Jubail where skilled technicians can mount, assemble and service the actuators to the customer’s requirements. On- site repairs and service are also available with OEM trained personnel. 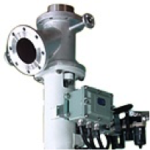 Pneumatic Scotch Yoke & Pinion Actuators are part of the SFS range of expertise to enable quarter turn valves from 1-60 inch that can be used on oilfield wellhead HIPPS systems, wellhead chokes, pipeline isolation and for fast response systems in petrochemical operations. In the power industry they can be used for turbine bypass valves and steam vents. SFS has invested in an OEM approved actuator workshop that is staffed by OEM trained technicians to provide full engineering services to the key industries of KSA. Site services for the actuators can be provided. We can provide assembly, mounting to any configuration the client requires and testing in our own workshop. As part of the range of services that SFS offers to Saudi industry is a fine range of Electro-Hydraulic Actuators (EHA) according to the technical need and client preference. 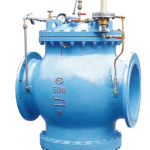 EHAs can provide fast response and high accuracy to the operation of valves. They are used on pipeline control or isolation in water and oil/gas pipelines as well as on wellhead chokes and HIPPS systems. In the power industry they can be used on turbine bypass valves and on the steam vents to enable a coordinated sequencing. 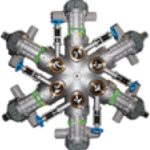 EHAs are also common in the petrochemical industries where the process demands fast response that is accurate and coordinated. Along with electric and pneumatic actuators, our actuator workshop can equally handle all services for the EHAs. With the full backing of the OEM we have the capability for service and rapid response that Saudi industry deserves. Electro-Hydrostatic actuators (EHAs), replace hydraulic systems with self-contained actuators operated solely by electrical power . EHAs eliminate the need for separate hydraulic pumps tubing, simplifying system architectures and improving safety and reliability. This technology originally was developed for the aerospace industry but has since expanded into many other industries where hydraulic power is commonly used. 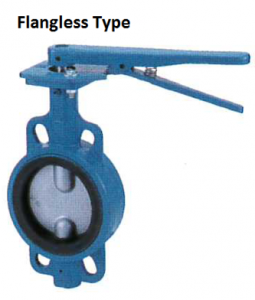 Engineered metal seated floating Ball Valves are used for high pressure, high temperature situations in many industries but primarily in the oil/gas sector. Exotic alloys and patented coatings can be needed for severe, and high pressure service in refineries. They are used for isolation on compressor, pumps, hydrocrackers and on HIPPS systems. SFS’s valve modification workshop can provide the necessary trims and adaptations to fit the requirement thus giving a response time and visible opportunity that the customers in KSA should expect. Our packaging unit would often include engineered ball valves within the client’s packages. 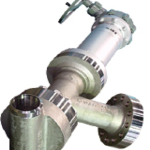 Choke valves are needed to control the liquid flow from the wellhead to the smaller bore ranges needed at petrochemical plants and in chemical injection skids. At SFS we have a specialization to severe service in the oil/gas and petrochemical industries so we are alert to offer the correct metallurgy and design appropriate for the application. Our technical team in KSA together with the OEM are thoroughly conversant with all applications and can respond with the right, proven design. Our workshop will produce packages including choke valves. Workshop and site service will naturally be also be available. 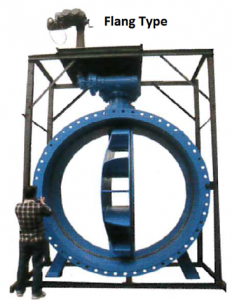 Large Butterfly Valves(10 inch to 80 inch) are used in a wide variety of industries for isolation and control. They control and can isolate water pipelines for desalination plant, power stations, refineries and petrochemical plants. They can provide large water pipeline isolation for pumping stations. We can package these pumps into the configuration the client requires. This local, in Kingdom service will save time and money for the Saudi end users. 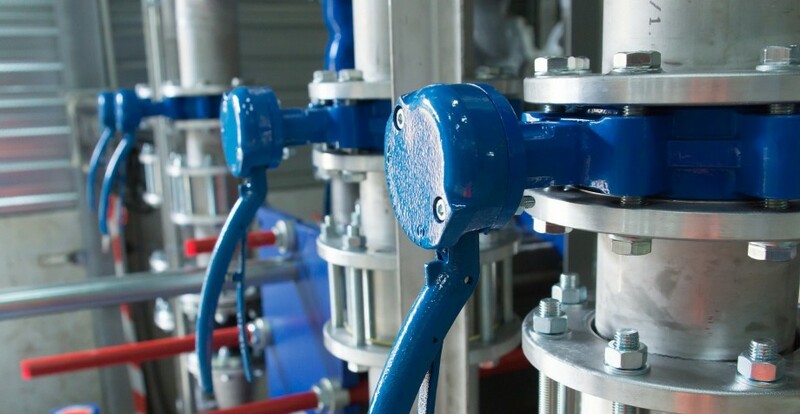 HIPPS are a coordinated assembly of Ball Valves that are with instruments and actuated to provide a High Integrity Pressure Protection system along with “2 out of 3” voting pressure detection system and activation alarming. HIPPS are the ultimate in safety to shut down in over-pressure situations and offer higher safety levels than other methods and have increasing use due to the critical nature of the operation. They are used in chemical injection systems at the well head and for over-pressure protection in oil and petrochemical processing units. SFS has the technical background and support of the OEM to be able to assist in the design and supply of the systems. Our technicians have been thoroughly trained by the OEM. SFS will also use their workshop for assembly and testing of the systems. Field service work on HIPPS is also undertaken at our Al Jubail facilities. They are primarily used in power stations and water industry applications but in general most industries will also use them. 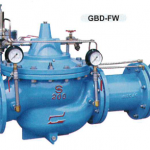 Water Pressure Relief Valves (PRVs) are globe type , piloted pressure control valves, pre-piped with pilot and needle valves to automatically maintain the downstream pressure depending on setting. They are also used for backflow prevention. SFS’s workshop can provide service and repair as required to OEM standards, while, our packaging unit can fabricate the required modules using PRVs.